How did you get involved in the project at the school? I am a governor at the school and as a Dementia Friends Champion I suggested that the topic of dementia might be selected by the school for focus. 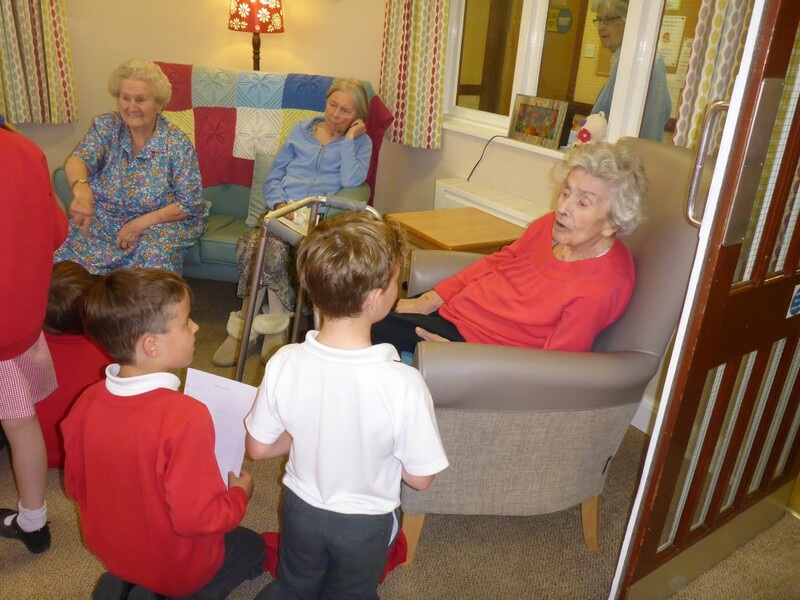 Year 3 (90 children) took part in a national competition – Go Givers `making a difference’ challenge and chose dementia for their focus during the Easter and Summer terms 2016. How did your Sessions go with the children? I prepared 3 Sessions for each class and repeated it 3 times. I adapted the materials making great play of feeling our heads to talk about our skull protecting our precious brain – what does the brain do for us? I did a practical demonstration of the bookcase analogy, and also used the fairy lights metaphor. When the manager of the home came to the school to prepare the children for their visits she mentioned the repeat questions they may receive e.g. what school do you come from? What school do you come from? I asked them why they thought this may be and hands went up to say – because not all their fairy lights may be working! 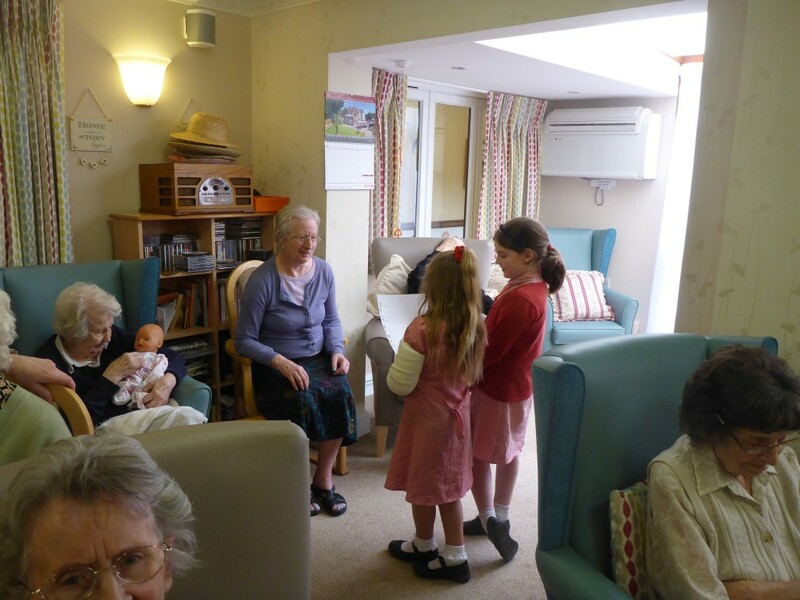 After the Session, in groups of 15 the children visited the St Leonards Residential home for 6 weeks. 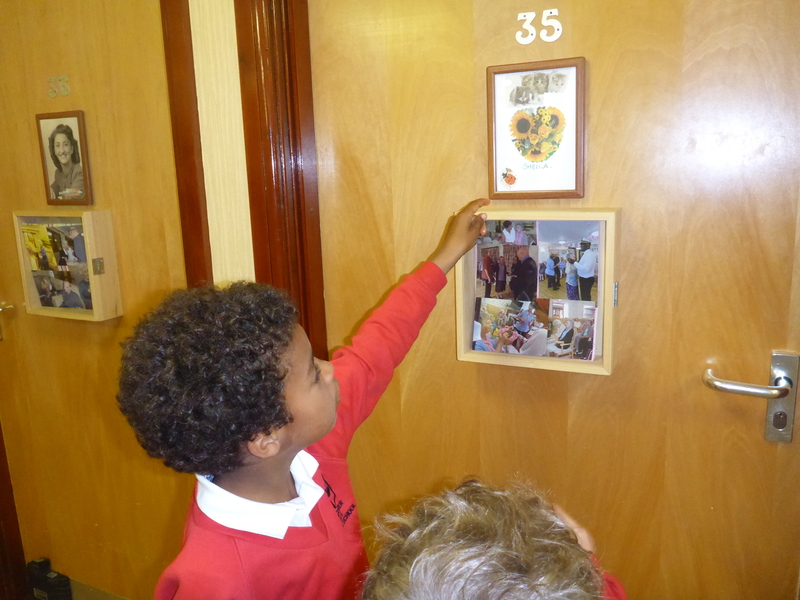 Both the residents and the children had a moving experience and revealed respect for one another. The children sang a number of songs e.g. ‘I do like to be beside the seaside’, ‘We’ll meet again’, ‘It’s a long way to Tipperary’ etc. and knelt by each resident to read their individually prepared poem. They visited the bedrooms and enjoyed squash and cakes with the residents. The children were so enthusiastic about dementia and as a result of the Sessions there was no fear. Since the Sessions and visit what has been planned? Both the children and the residents have written to one another since the ending of the project for repeat visits. The school has now planned to include this project into the school curriculum for an annual project. They have presented the project to the rest of the school, and shared material with family, neighbours and friends. They presented their project as part of a presentation for the Go Givers national Project – Making a difference at the Aylesbury theatre in July, and they received a certificate. Indeed, they have been so inspired that they are planning a community project with each year group in the future. Why do you think it is important for children to learn about dementia? The focus for the project on dementia has removed any potential fear about the elderly, their behaviour and the unknown. They talk openly about the subject of dementia and what it means. They still wear their badges with pride!